Below are all of the bookcases we currently have for sale. If the bookcase is currently in the bare wood, the price shown includes wax polishing and any restoration required. Many of the pine bookcases we sell have been made recently although we do occasionally find old ones, some Victorian, some from Eastern Europe. Some bookcases have adjustable shelves and some are fixed. Ideal for the living room, study or office. 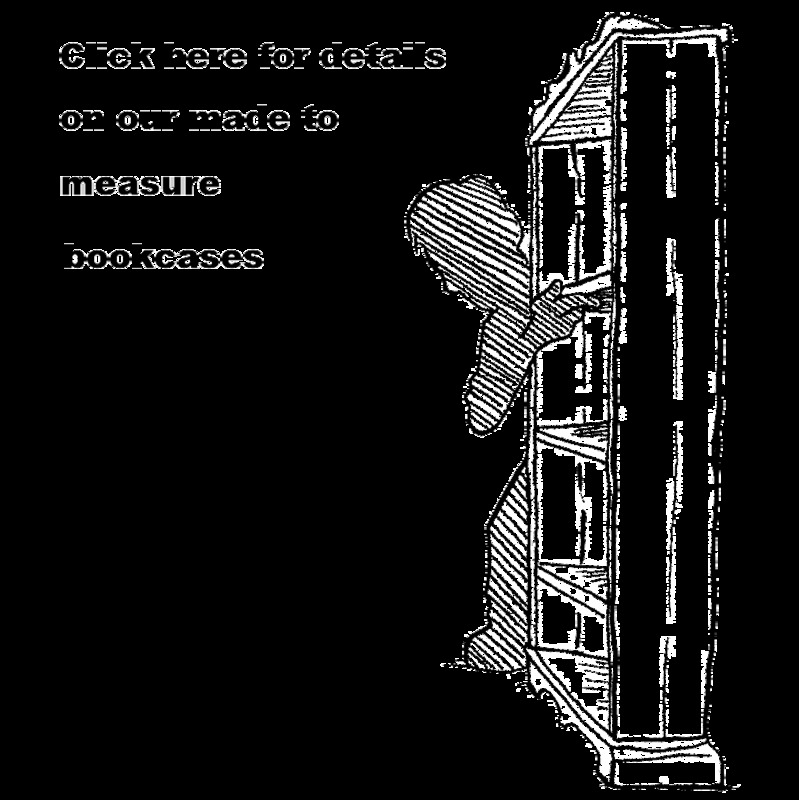 It is very rare for bookcases to dismantle so please be careful to measure stairways etc before purchase. If you would like measurements of the gaps inbetween the shelves (or exact depths etc) please feel free to ask. Sometimes shelves can be moved (or removed) for you if necessary. It will be clear in the photos and description whether a piece is waxed or stripped (in the bare wood). If it is in the bare wood and you would like to purchase it as it is please let us know and we will reduce the price accordingly. If currently in the bare wood the prices shown include wax polishing and any restoration required. If painted then price is for the piece as it is. Please use the CONTACT FORM button towards bottom of page on left if you have any questions. All of pine furniture for sale can be seen here. All of these bokcases can be seen in our warehouse in Haddenham, Bucks, 35 mins from Oxford, just an hour from London. A very nice looking, solid and sturdy, reclaimed pine bookcase over cupboard. Stood on bun feet to the front, and blocks at the back. There are two bookshelves above a good size double door storage cupboard, with a single shelf inside. The doors open almost fully, which is very useful when accessing the cupboard. This would make an excellent TV cupboard, and would also work well in a hall way. Stripped to the bare wood, ready for waxing or painting. Please call us for a quote for painting. Height 43", width 38.5", depth 16"
If the bookcase is currently in the bare wood, the price shown includes wax polishing and any necessary restoration.